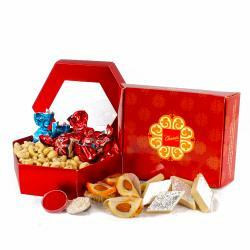 Product Consists : Assorted Dryfruit Sweet like Kaju Pista Roll and Kaju Pista Dollar (Weight : 200 gms) along with Heart Shape Chocolate (Weight : 120 gms) in a Treasure Box and Packet of Roli Chawal packed in a Paper Carry Bag. 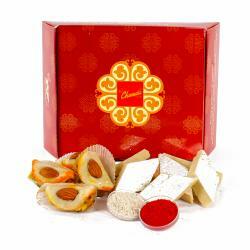 Bhai Dooj is a brilliant festival, celebrated to strengthen the bond of brothers and sisters. 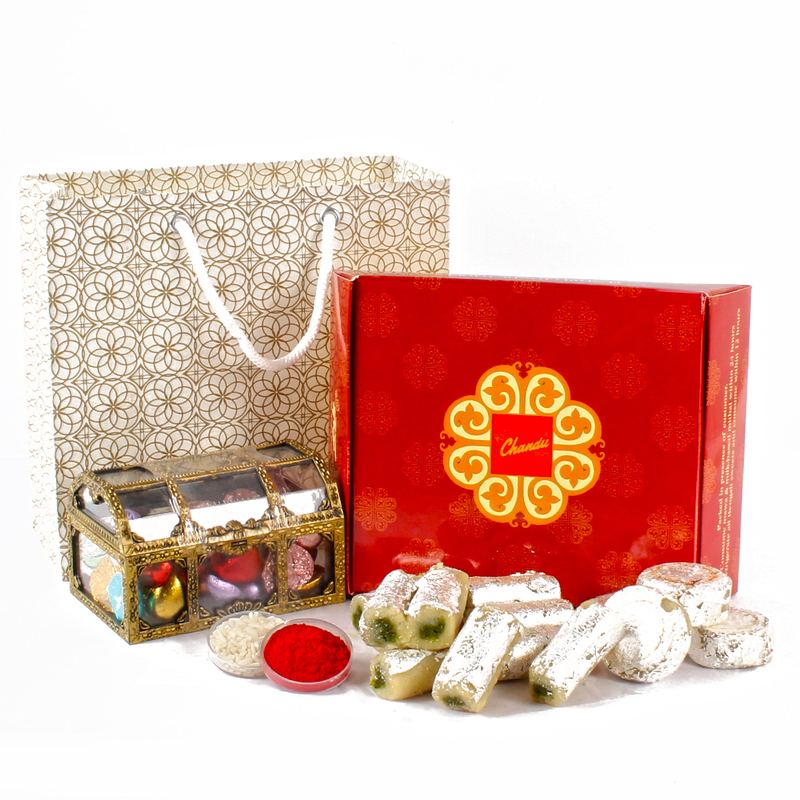 As a caring sister, send your beloved brother, this exquisite sweet gift hamper comprising of Assorted Kaju Sweets like Kaju Pista Roll, Kaju Pista Dollar along with Heart Shape Chocolate packed in a Treasure Box. 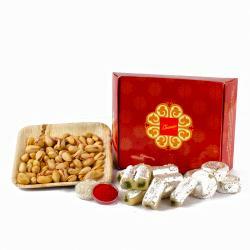 To help you perform Bhai Dooj rituals it has a roli chawal kit. Place your order right away. 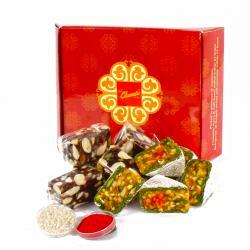 Product contains : Assorted Dryfruit Sweet like Kaju Pista Roll and Kaju Pista Dollar (Weight : 200 gms) along with Heart Shape Chocolate (Weight : 120 gms) in a Treasure Box and Packet of Roli Chawal packed in a Paper Carry Bag.